The operator look, complete with tactically styled bags, has been in vogue for awhile now but it seems that tactical inspiration is creeping into the world of parenting. In specific, that tactical aesthetic can now be found in the realm of diaper bags, but just like anything niche, one has to wonder is a tactical diaper bag necessary for gun owners? Tactical diaper bags are designed just as they sound, with that ever popular tactical look. A tactical diaper bag functions as any standard diaper bag does. It’s goal is to give parents a means to organize and tote all important baby related necessities. From diapers to wipes to bottles and extra pacifiers, the tactical diaper bag meets all the expectations parents come to expect from a diaper bag but with the added attribute of offering a more stylistic approach. As more fathers lean in on the parenting process, a trend spearheaded by the millennial generation, dads in particular are gravitating towards options that are less gender specific. High Speed Daddy founder Craig Risoli told Guns.com that as the father of three kids and as an Infantryman in the U.S. Army he wasn’t as keen on toting a flowery diaper bag design. Often opting for a generic tactical backpack when venturing out with his kids, Risoli said he realized there was a market not yet fulfilled. It was here that his life as a father and as a military man collided, and the High Speed Daddy brand was born. 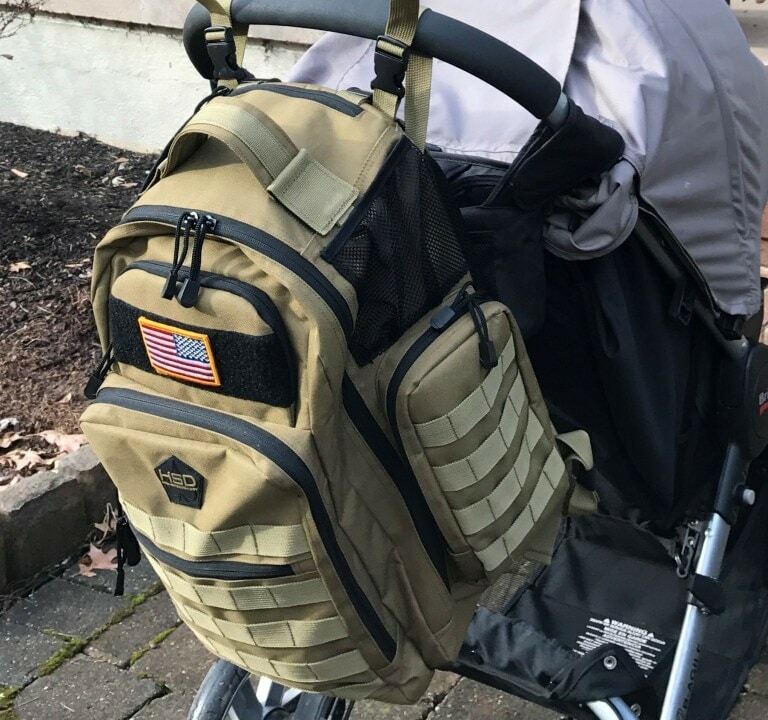 Risoli said that while tactical diaper bags may not be completely necessary for every gun owner or parent, they do offer a unique options for those who want a highly functional yet discrete means to pack…baby gear, that is. 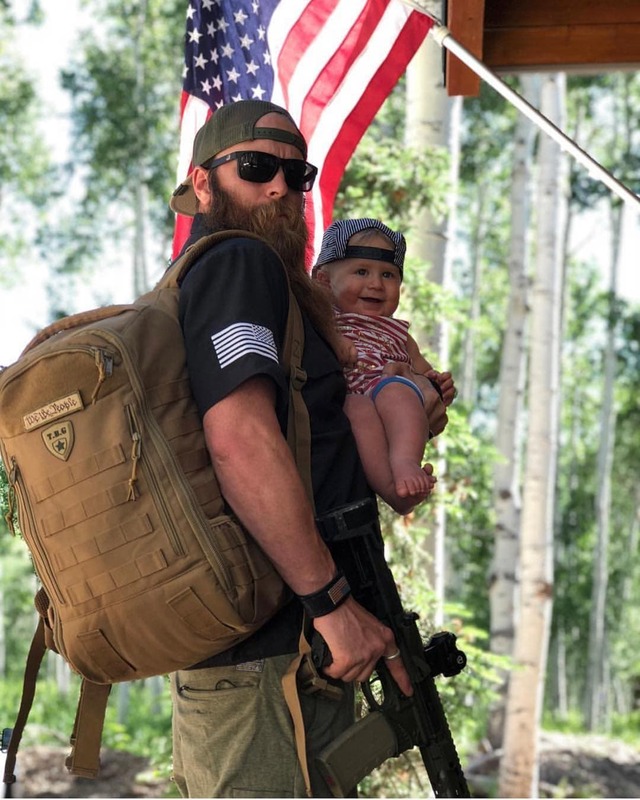 For Beav Brodie, owner and founder of Tactical Baby Gear, the tactical dad bag goes beyond just the aesthetics. While Brodie told Guns.com in an email that the operator look certainly wins some parents over, the biggest selling point of tactical diaper bags hits at the core of military gear in general — functionality. Tactical diaper bags have come at a time when parents are more engaged than ever — especially fathers. A BabyCenter survey in 2016 found that millennial dads are actively involved in care giving. From tackling bedtime routines to phoning in doctor’s appointments and handing school drop-offs/pick-ups, the latest generation of fathers is out and about with their kids more now than ever. With this influx of involved dads, Brodie says the need for gear that accommodates this clientele is important. While diaper bags abound at major retailers, there’s something specific about tactical diaper bags that keeps customers coming back.